2 wanted in connection with Burlington County wildfire. Jim Gardner has more on Action News at 11 p.m. on April 11, 2019. 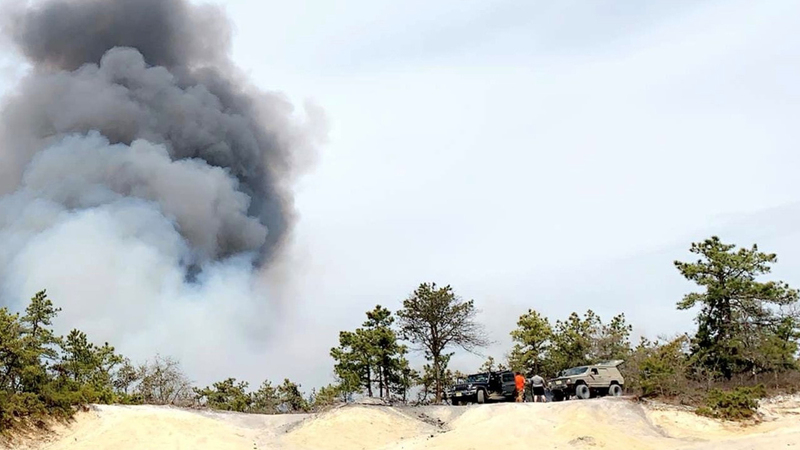 BURLINGTON COUNTY, N.J. -- New Jersey State Police are asking for the public's help in identifying two men wanted in connection with a massive wildfire that broke out in Burlington County. Police said two men in the above picture may have information about the fire that started on March 30. The fire consumed more than 11,000 acres of forest in Washington and Woodland townships. Anyone with information is asked to contact police at 609-296-3132. Firefighters battle wildfire in Burlington County, New Jersey on March 30, 2019.